Nick Jonas started America’s morning today on a good note. Talented singer, made a guest appearance on Live! with Kelly today to promote his recent run on “How to Succeed with Business Without Really Trying”. Nick Jonas charmed and swooned the audience during his rather sweet interview with Kelly and co-Host Cat Deely. Then performed for the first time on television his version of “I believe in You”, from How To Succeed in Business. 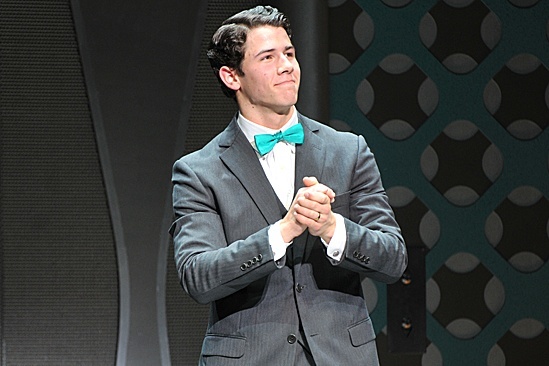 Make sure to catch Nick Jonas on one of his many shows going on until June 1st, 2012 in New York City! Check out the video below of Nick Jonas Singing “I Believe in You” on Live! with Kelly.